Katara – the Cultural Village hosted an array of cultural events over the weekend aimed at supporting its noble message to bring nations closer to each other. The Katara amphitheatre witnessed two traditional shows from Singapore and Palestine, which presented the cultures of both nations through prominent folklore bands within the Cultural Diversity Festival at Katara. The shows attracted a large number of visitors who enjoyed the performance of the Palestinian traditional dance ‘Dabke’ and were introduced to Palestinian culture for the first time. The Singaporean folklore show included some of the most famous national dances and music in the South East Asian nation, which was presented by the world-known band “Sri Warisan”. 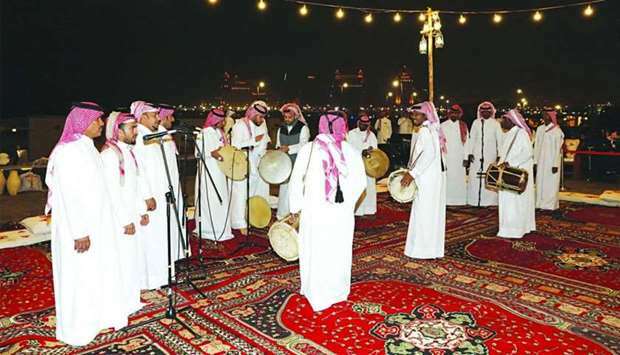 Meanwhile, the Qatari folkloric band “Al Jubailat” performed several traditional songs and dances, reflecting the maritime-related culture in the old days. The performance, held at the Katara esplanade, aimed to promote Qatar’s rich heritage.